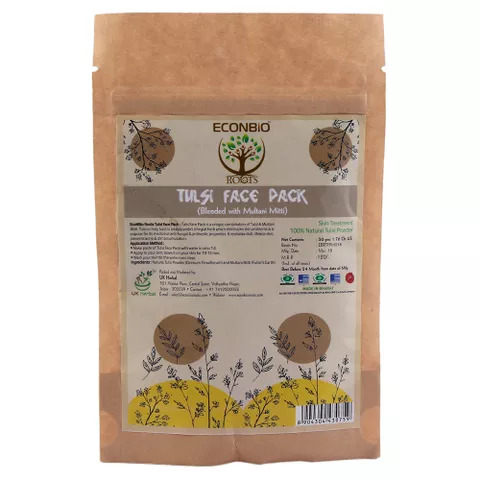 Tulsi face pack used since time immemorial to maintain youthful and healthy skin comes with natural Tulsi plant extracts. 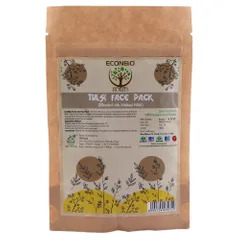 ECO & BIO ROOTS brings to you this superior quality tulsi face pack in a packaging of 50gms to provide fine quality products for beauty and wellness. 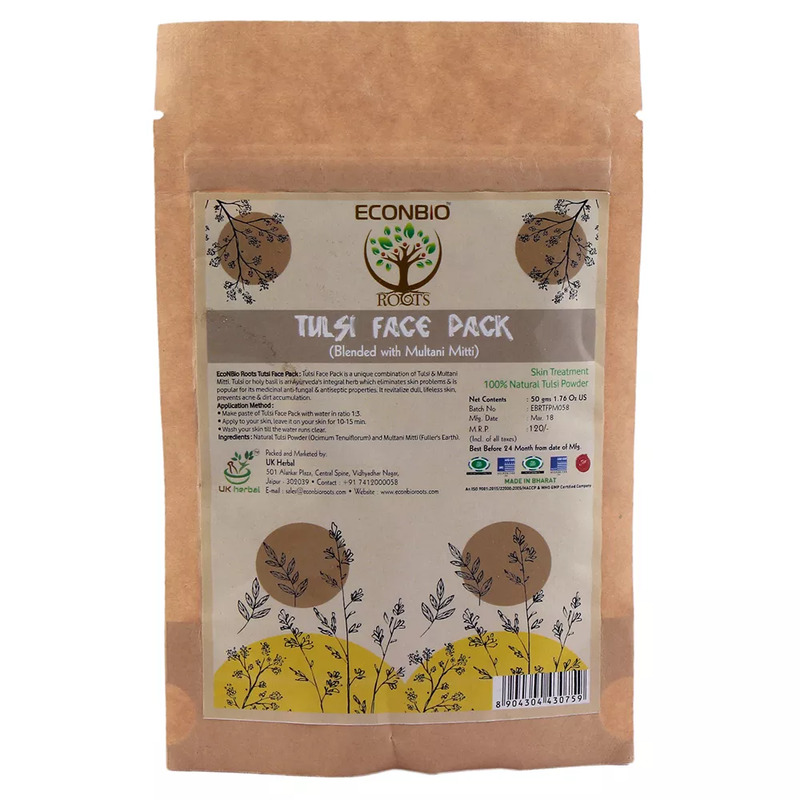 Tulsi face pack It clears scars, acne, pimples and is best for skin rashes caused due to heat, dirt and pollution. 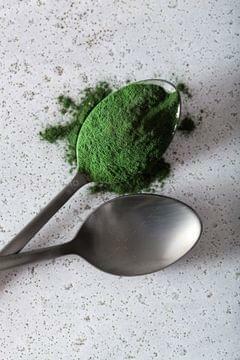 It leaves the skin smooth and rejuvenated after its use and does not make it dry. It can be mixed with multani mitti or sandalwood powder with rose water to give a cooling effect to the skin in summers. It can be applied anytime during the day. 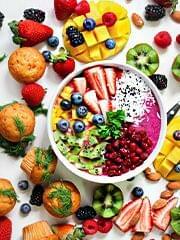 Make paste of Tulsi Face Pack powder. 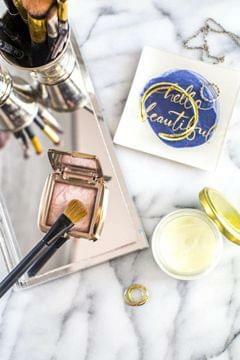 Apply to your skin, leave it on your skin for 10-15 min. Wash your skin till the water runs clear.